Parents will be receiving a letter from me outlining MYA goals for this special 20 Years Young Season. The first is just to celebrate this 20 year milestone! The second is to increase our visibility so that more people know about Midwest Young Artists and our mission. While MYA is well known nationally and at music schools across the country, we have a lot of work to do to be better known locally. The third goal, like all non-profits, is to successfully meet our contributed income needs so that we can carry out our plans for this special year and beyond. FYI, our goal for this year is $360,500, or about 27% of our total budget. The rest comes from tuition, ticket sales and program ads. 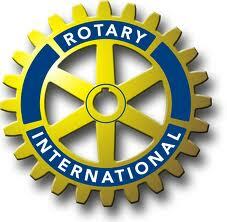 For my part, to increase our visibility, I joined the Highwood/Highland Park Rotary Club. Steve Greene (Scott/clarinet/Symphony) is a member and I'm thoroughly enjoying the meetings and getting acquainted with a wonderful group of people who really believe in the mission of this organization, service above self. Allan was a member of Rotary when we lived in Iowa; in fact, we had a foreign exchange student from Denmark for 2/3 of a year when our girls were 9, 5 and newborn. Now I know why he enjoyed it so much. I thought of MYA Parents when I ready my Rotary eBulletin today. They are looking for volunteers to help with the Ft Sheridan beach clean up this Saturday, September 15. If it's as beautiful as today, you might want to help out, especially if you've never walked down to the Ft Sheridan beach while your children are rehearsing. Bring gloves and either meet at the McDonald's on Sheridan Road at 8:30 am, or stop by the office when you arrive at MYA in the morning and ask directions to the beach. If other parents are Rotary members in other clubs, I'd love to know.